Of the pests and diseases endemic to Australia, one of the greatest biosecurity threats to vineyards in South Australia is Grape phylloxera (Daktulsphaira vitifoliae). This tiny insect pest destroys grapevines and ornamental vines by feeding on their roots. 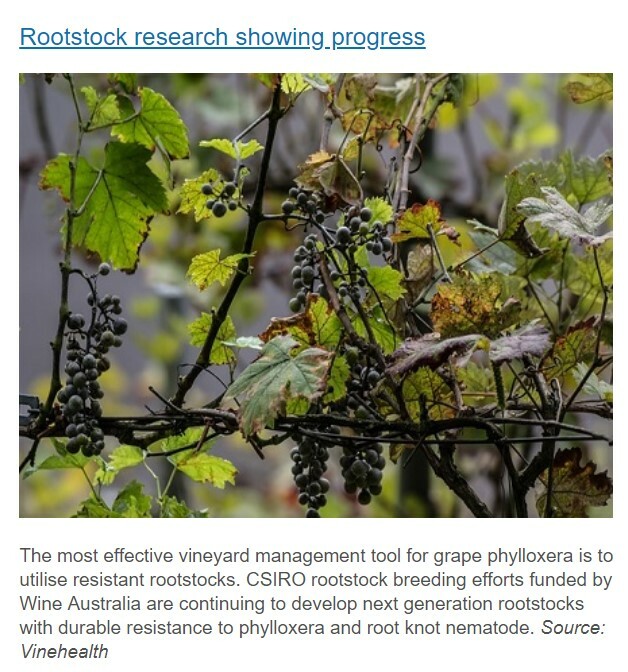 Almost 75% of vines in South Australia are susceptible to attack. Once vines are infested, they will die within six years. There is no eradicative treatment, so infested vineyards must be replanted on phylloxera-resistant or tolerant rootstock. 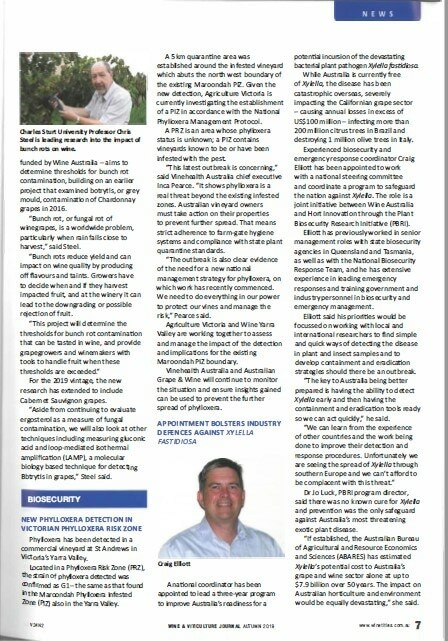 This is a costly exercise at around $60,000/hectare (calculated in 2017 by Vinehealth Australia and benchmarked against industry standards), and replanted vines will take about three years to produce a crop and longer to mature. For more information on phylloxera lifecycle, how it spreads, signs of infestation in the vineyard and more, click on the ‘About Grape Phylloxera’ fact sheet. Not all grape phylloxera are equal. There have been several hundred genetic strains of phylloxera documented worldwide, with Australia identifying 83 endemic strains. Click here for more information on strains. 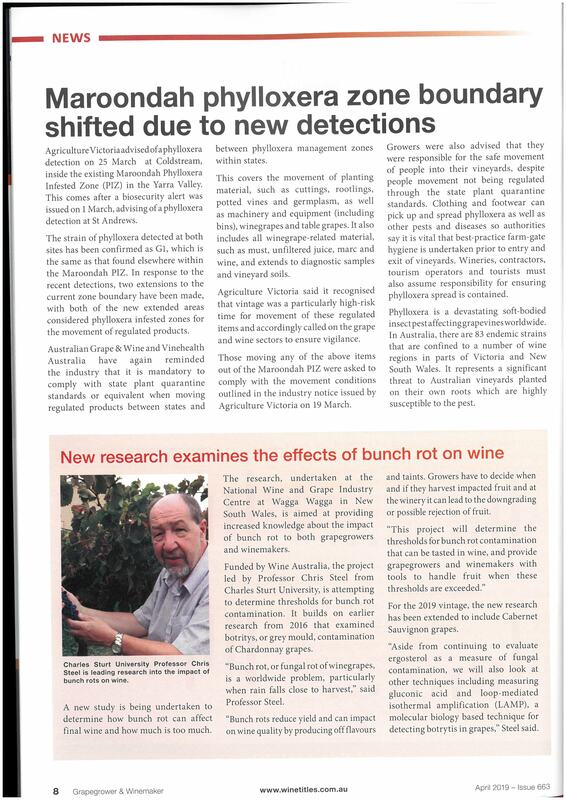 Where is phylloxera in Australia and where is it not? Phylloxera at present, is confined to regions in Victoria and New South Wales. 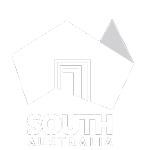 South Australia, Western Australia, Northern Territory and Tasmania are designated ‘phylloxera-free’. Phylloxera Exclusion Zones (PEZ) – a whole state or part thereof, recognised to be free of phylloxera. Phylloxera Risk Zones (PRZ) – an area of unknown phylloxera status (but never detected). Phylloxera Infested Zones (PIZ) – an area known to have phylloxera. Movement of items (e.g. machinery, equipment, grapes, grape products, propagation material, diagnostic samples and soil) that could potentially transfer phylloxera from one place to another are tightly controlled between these areas). 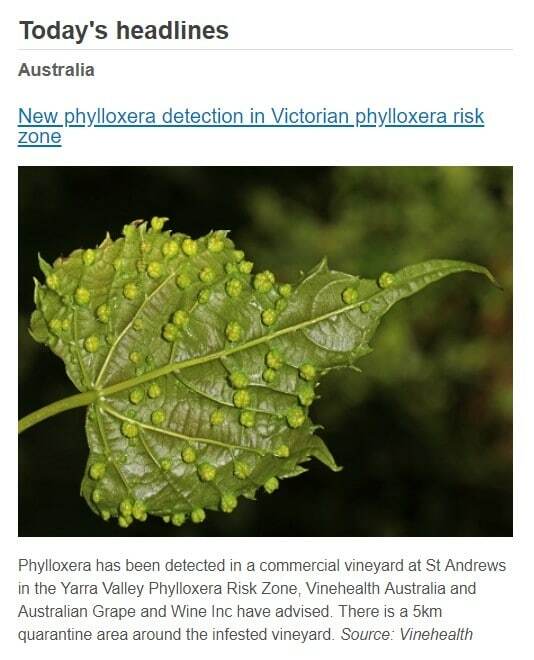 To confirm the Phylloxera Management Zone (PMZ) your vineyard is in, either refer to the Phylloxera Management Zones in Australia map or use our interactive maps tool to choose your wine region and find out which PMZ it’s in. There are a number of simple activities you can carry out to reduce the likelihood of a phylloxera incursion in your vineyard. Refer to our Farm-gate hygiene section. To find out more about our recently completed ‘DNA testing for early and accurate detection’ project, click here.